How, when, and where you water your garden and houseplants can critically impact their greenery and blooms. Read on for the best ways to ensure success. No matter what color your thumb, you likely already know that all plants need water to reach their full potential—after all, that basic knowledge goes back to basic middle-school science class. But what you might not know is that incorrect watering techniques can put plants at risk for disease and even kill them. Whether you want to cultivate pretty outdoor perennials or you just bought a new houseplant, heed these best and worst practices for watering plants indoors and out and you’ll reap healthy, happy specimens. DO hydrate plants in the morning. The most efficient time to water outdoor flowers and vegetables is before the heat of the day when the soil is cool and the water has the best chance of seeping down to the roots of the plants before evaporating. Watering plants early will ensure that they have sufficient store of moisture beneath the soil to withstand the heat of a hot summer day. DON’T water too frequently or too little. Especially during hot weather, it may be tempting to water just enough—and often enough—to keep the soil damp. Shallow surface watering, however, discourages deep root development. 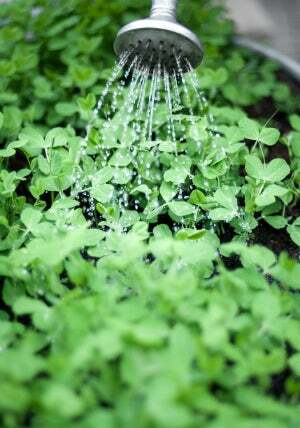 Instead, opt for a less frequent watering routine that thoroughly saturates the soil. This method encourages the roots to reach deeply for residual water, even when the surface of the soil appears dry. The standard rule of thumb is to give your flowers and vegetables the equivalent of at 1 inch of water per week (and as much as double that amount in the peak of summer). DO water plants at soil level. Directing water at the base of your plants delivers the hydration right where it’s needed: the roots. Consider winding a soaker hose between plants in a flower or vegetable bed to soak the soil slowly and deeply and ensure healthy growth. In addition to soaking the plant’s leaves, which can increase the risk of a fungal disease, broadcast sprinklers are simply inefficient. On a hot or windy day, much of the water distributed by this type of sprinkler can evaporate before it even reaches the plant and less water goes to the base of the plant. DO water outdoor container plants at least once per day. Soil in container gardens and flowerpots dries out more quickly than soil in a garden plot or flower bed. The smaller the container, the more frequently you need to water. Soak the soil in containers in the morning, and, if the mercury in the thermometer climbs to 90 or above, give them another soaking in the afternoon. DON’T forget that trees need water, too. Newly planted trees and shrubs should be thoroughly soaked with water two or three times per week for the first month. After that period, water weekly during their first growing season. 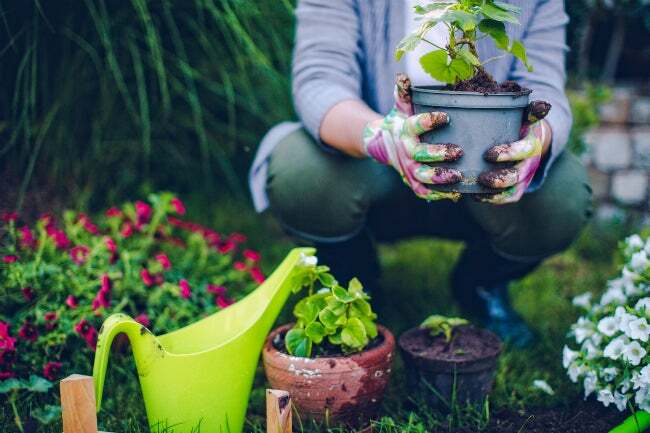 Established trees and shrubs (which are at least two years old) only need to be watered once every two weeks during the growing season when rain is scarce. DO use a wand to water container plants. A watering wand extends the reach of your arm, allowing you to direct water at soil level in overhead hanging plants and in short, ground-level flowerpots on the ground without having to stretch or stoop. You’ll conserve water by directing only the amount needed to the base of the plant and you’ll save your back. DON’T water container plants with a jet-type spray nozzle. Pressurized nozzles are great for washing off driveways and sidewalks, but the spray that they deliver can damage tender foliage and blossoms. It can also disturb the soil around the roots of a container plant. If you don’t have a watering wand, just remove the nozzle from the garden hose, hook the hose into the hanging pot or container, and let the water run out slowly. DO use a watering can for houseplants. Trying to water a leafy houseplant from a drinking glass or carafe is just asking for water to spill out over the rim and onto your table or windowsill. Not only does a watering can’s long spout eliminate spills, but it also allows you to precisely direct water right at the base of the plant even if you’re watering plants that hang overhead. DON’T water houseplants with treated softened water. Home water softeners impart sodium into your tap water, which, over time, can negatively affect the mineral makeup of a houseplant’s soil. Depending on your plumbing, your water softener may connect only to the hot water faucets or to all the faucets in your home, both hot and cold. If it’s the latter (or you aren’t sure), stick to filling your watering can at an outdoor spigot to minimize the amount of sodium you introduce to the soil. DO check a soil moisture gauge. An inexpensive soil moisture gauge costs less than $20 and you can insert it directly into the soil to find out whether it’s dry, moist, or wet as many as several inches deep by the roots. Large houseplants in small pots absorb water more quickly than small plants in large pots. When you use a moisture gauge, as opposed to following a watering schedule, your plants will get the water they need, when they need it. DON’T put houseplants in pots without drainage holes. Most houseplants need well-drained soil in order to grow and thrive. If water cannot drain out through the bottom of the pot, the roots are subject to sitting in water and potentially rotting. Check the bottom of each potted houseplant and repot any without drainage holes into a more appropriate container with them. DO water less in winter and more in spring. 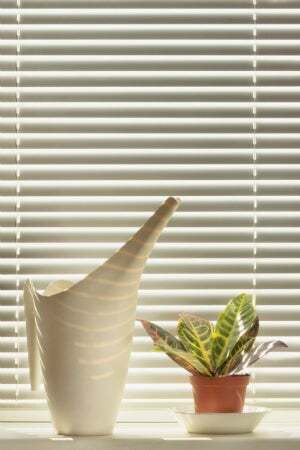 During the winter, the days are shorter and indoor houseplants receive less ambient light through windows. As a result, photosynthesis (the process in which a plant turns light into food) slows and the plant enters a resting phase, during which it needs less water. As spring approaches, however, longer days signal the plant to start growing, and at this time, its water needs increase. Adjust your habits for watering plants accordingly so as not to cause distress or thirst. DON’T forget to dump the water collection tray. When watering, excess H2O will drain into the collection tray beneath your houseplant almost immediately, but don’t pour it right away—the plant may reabsorb some of it within the next 30 minutes. After that, go ahead and dump. Allowing a plant to sit in standing water increases the risk of root rot, a potentially deadly development for the plant. Overwatering is one of the main causes of houseplant failure. Houseplant newbies have a tendency to water houseplants too often, thinking that’s just what they need. Overwatering, however, increases the risk of root rot and fungal disease. If you see droopy stems, wilting leaves, a whitish coating (fungus), or fungal gnats in the home—pests that thrive on consistently wet soil—it’s a good bet that you’re watering plants too much. On the other hand, when the bottom leaves on your houseplant dry out and drop and edges of the leaves elsewhere on the plant become crisp and brown, it’s probably not getting enough water. Again, refer to the soil moisture gauge for that happy medium.